There is no doubt about it, our aftersales performance is one of the biggest sales arguments for buying a Hofmann Megaplan. Our response times, ability to first-time fix, and our overall customer service have become every bit as famous as the product itself. When purchasing equipment, the capability of the provider post-sale is all too often overlooked, yet it should be a vital ingredient in the decision making, and the service you receive will be a constant reminder of whether you made the right decision, long after the original price is forgotten.We have one clear indication of how well we do on service - our customers. 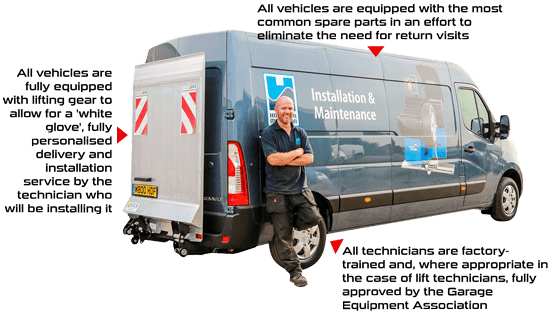 We receive high praise for the performance of our technicians, and the level of repeat customers we have just confirms what we always like to think - that we have the best product and service in the business.